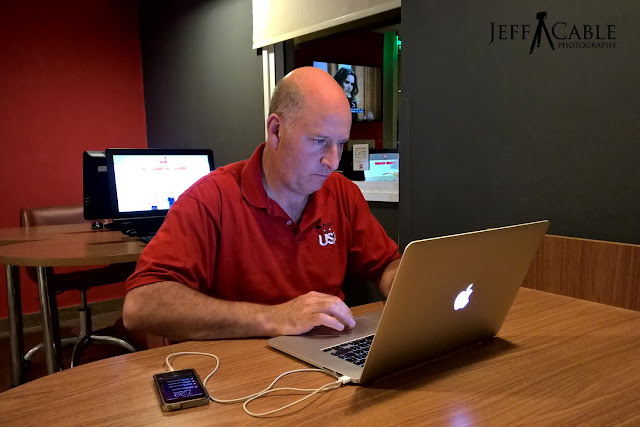 I am now only a couple of days away from my flight out to the Olympics in PyeongChang, and all the planning is coming to an end and the work is about to begin. Part of my planning process is to determine the best way to capture, edit and store all the images I am going to be taking while at the Olympics. Sure...I have photographed many Olympics over the past decade, but with technology changes, this is something I have to rethink each time the Games come around. The good news is that with all the high-tech wizardry out there, this process get easier and more powerful every couple of years. I remember shooting images at the Summer Olympics in Beijing in 2008 and the largest memory card I had was a 4GB CompactFlash card. The card readers were connected to my computer using a FireWire 800 port (which is long gone now) and the portable external hard drives were big and slow to transfer the images (using USB 2.0). But with each Olympics, the technology has pushed forward and now I have a very cool process for storing and backing up my photos, even half a world away from home. 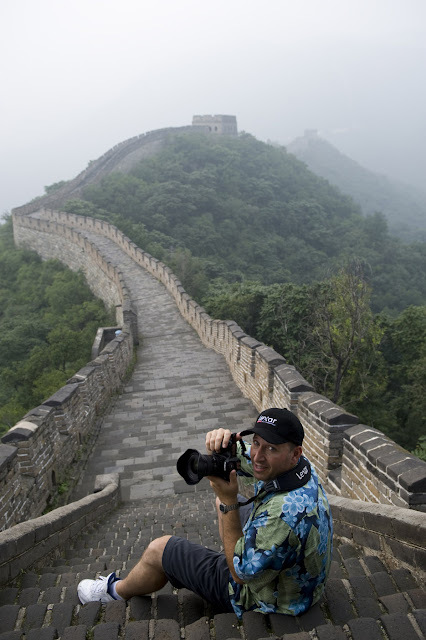 I will be shooting almost exclusively using Canon 1D X MKII cameras, outfitted with 3500x CFast memory cards. This will allow me to shoot images and have them clear the buffer quickly so that I am never waiting for the camera to offload files and missing shots. But more importantly, they let me download really fast to my MacBook Pro 15" laptop. Having a 15 minute deadline for getting images back to the US, means that every second counts. Once I have captured the photos, it is really important for me to store them in not just one safe place, but many. 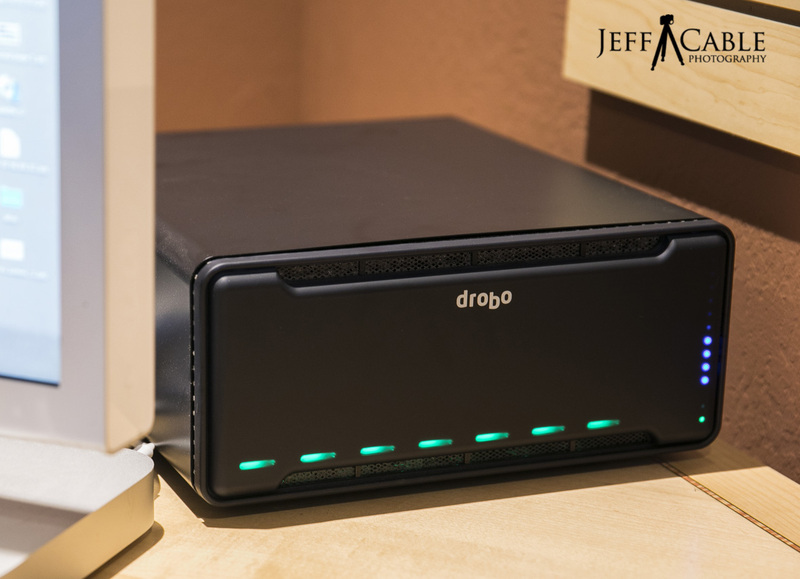 When I edit at my main computer back in California, I have a Drobo 5D3 RAID system filled with 32TB of Western Digital hard drives. This is my main drive from which I work directly. But the unit is not portable and not something I take with me when I travel. So I am working from the SSD of the laptop. The problem is, the SSD on my MacBook Pro is only 1TB, so I can only hold a couple of days photos on the internal drive without running out of room. I plan on backing up the images to numerous portable SSD units in Korea. This year I have a new and exciting system in place which will give me more peace of mind than ever before. 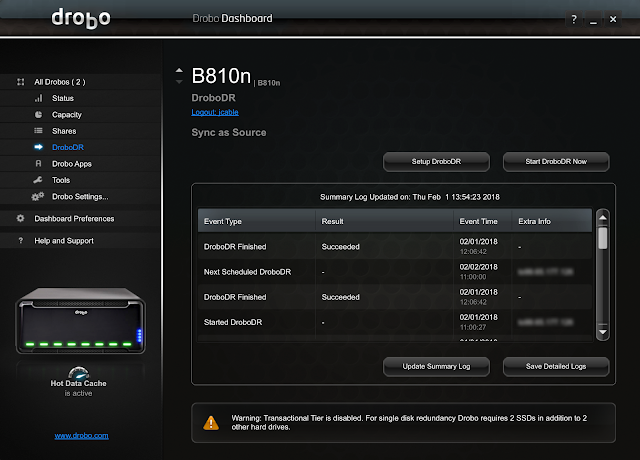 Along with my Drobo 5D3, I also have upgraded to a Drobo 810n networked RAID system. What is really cool about this box, is that I can access it from anywhere in the world. Even though the Drobo 810n is sitting in California, I can copy my Olympic images to it from half way around the world. And I can also access any of my photos from Korea, so if a someone orders a print, I can upload the RAW file while in PyeongChang, retouch the photo and send it to Bay Photo for printing. I had similar capabilities during the last Olympics in Rio de Janeiro, but this year adds something even cooler! About 6 months ago, I got a second Drobo 810n. At this point, you might be wondering why I would want two of these units. Well...I wanted complete redundancy and I wanted it offsite. I copied all the files from my first 810n to the second unit, which is every digital image I have ever taken! I then took the second 810n to a friends house and connected it to their home router. I set up DroboDR (free software that comes with the 810n) on both units and now they synchronize every night starting at 11pm. Every Olympic Press location has very fast Internet and my office Internet speeds have been upgraded to more than 200Mbps, so my plan is to upload my Olympic images daily from Korea to my main Drobo 810n, knowing that those same files will automatically be replicated to the remote location. How awesome is that? With temps like that, don't forget the extra batteries. Jeff, can't wait to follow your exploits in Korea. Have been following your Olympic adventures for years. also Bay Area guy. I, too, own several Drobos. Questions.... what speed connection do you get in Korea... inconceivable to me uploading thousands of giant files over hotel wifi. Also, love your offsite storage solution... again who's your ISP, cuz comcast would never let me use that much bandwidth to duplicate terabytes of data over my home internet service...with images at over 50MB each, they would shut me down almost immediately. 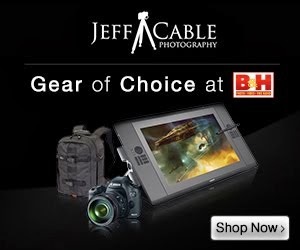 Hi Jeff, I'm curious to know if all your photos will be in RAW format, or do you store other formats also? So then I wondered how much storage space do you think this will all take, given that it is 50,000 photos at ? ?MB (average) per photo?! Thanks for the excellent blog.